The year’s biggest video games may be coming out of Japan and America, but London’s game development companies are carving out their own paths to success. Startups like Candy Crush creators King.com and Mind Candy, makers of kids game Moshi Monsters, are not only top sellers on their platforms, but they’re also the local London tech scene’s biggest employers. At London’s last Silicon Milk Roundabout jobs fair in June, Mind Candy and King.com were the two companies advertising the most jobs. Both companies have also been eyeing IPOs as they grow their ranks and coffers. Part of the reason that London’s gaming companies are breaking out is because they aren’t going toe to toe with the traditional Japanese and American gaming companies. Few new companies in London, or across Europe, are pitching to make big-ticket shoot-and-kill titles for the consoles – they’ve been focusing on the new platforms of mobile, and beyond. And as gaming shifts, that’s paying off. Three fledgling studios making games that go beyond the console explained to us the importance of new platforms, and why London is the best place to create these new games. Here’s what we learned from Space Ape Games’ John Earner, MakieLab’s Alice Taylor and Coney Games’ Tassos Stevens. We think London is such an important tech hub in general that we’re holding our annual Structure:Europe conference in London in September. American John Earner has a strong gaming track record overseeing hit Facebook titles like Pet Society and Sims Social at London-based Playfish. Earner chose to stay in London when he branched off to build his new mobile gaming company Space Ape Games, which was built out of the Playfish crew after the company was bought and closed by EA. The company will release its first big release at the end of this summer. Yes, there are more developers in San Francisco, says Earner a Stanford/Berkeley trained developer who worked in the Bay Area before coming to London, but it is much harder to keep them there. For Earner, good games are made when the creators stick around. For example, at decade-old King.com, the founders are all still there, he points out: “Our business is all about learning time and time again how to make the very best video games. It’s really all about experience. Learning from your failures and eventually making hits.” Earner says his staff have worked together for five years at Playfish before he brought them together for Space Ape. In addition, while San Francisco gaming companies tend to view game development as an individual sport – led by the Beckhams of the industry—gaming is actually a team sport, says Earner. Even with the very best developers, a team needs to have experience working with each other. That’s also where game development becomes “not just a technical business, but a creative one,” Earner says. London’s gaming industry is more focused on the scrappy team where everyone contributes and gels together, instead of the star-lead team that gets more attention. 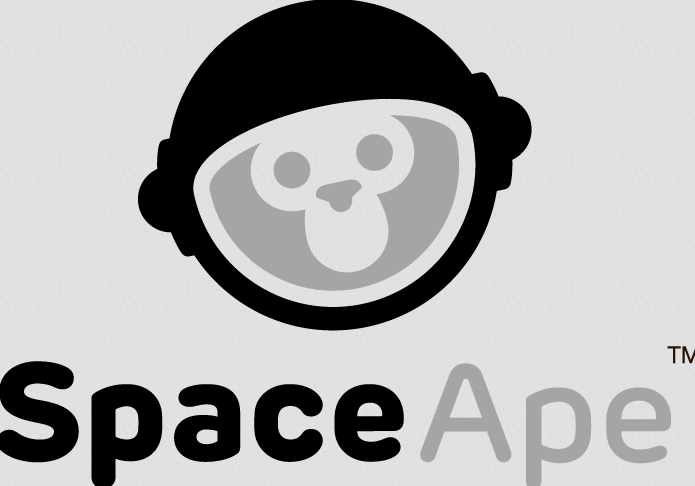 Lastly London’s focus on mobile games in particular, is a major reason why Space Ape is staying put in London. “As the new console generation arrives, the Xbox One, the PS4, all the big boys are once again distracted and confused. They’ve forgotten that the world has changed for a year, and they’re all making hot new titles for hot new boxes. But the real big avenue is mobile,” says Earner. For Alice Taylor and her Shoreditch-based gaming studio MakieLab, being out of the traditional gaming centers in California and Japan just mean the alternative startup can thrive in a unconstrained environment. MakieLab is even further from a standard console game – it combines 3D printers, real-life dolls, apps and an online gaming platform. As players progress in the 2D world of the game, they are able to design and make 3D toys, which are printed out and sent to the players. London’s tech ecosystem has been a particularly crucial inspiration for Taylor and her startup. The mix of people from all over the world – from America to across Europe – found in London’s tech scene has helped provide this eclectic mix of cross-over players. If there’s a downside to London, says Taylor, it’s that it’s expensive. If it’s not the talent or tech scene that foster gaming creativity, London has more diverse charms for small companies that blur the edges of play like Coney Games. An interactive play company that makes serious games, the Coney Games studio won a BAFTA – a TV award – for a game commissioned by British TV station Channel 4, and made in collaboration with digital media company Somethin Else and game developers PlayersThree. The award-winning Nightmare High is a simple browser-based game, but the innovation comes from the mix of media used – quality video – and the social aim. Nightmare High aims to help kids settle into new schools, and its predecessor title SuperMe taught resilience to teenagers. It’s the arts and media scene and the possibility for collaboration that Coney founder Tassos Stevens — a former psychologist who has come to making serious games via experimental theatre — values in London. Few tech startups are likely to name the experimental theatre scene as having a beneficial effect on their products. But London is a rich environment for a gaming startup, and may be well-placed to catch a wave as the industry shifts to new platforms. From the talent, to the teams, to the alternative haven, to the international mix, London has become an important epicenter for creating some of the world’s most innovative web and mobile games. If you’re interested in learning more about London’s tech startup scene, come to our Structure:Europe conference in London on September 18 and 19.